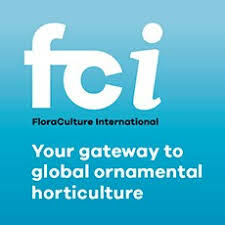 Columbus, Ohio – Cultivate’14, the largest all-industry horticulture exposition and convention in North America, concluded Tuesday with more than 10,000 attendees. This is the event’s best attendance in more than a decade. The event is not-for-profit and proceeds are used to further industry programs. Michael V. Geary, CAE, AmericanHort’s President and Chief Executive Officer, said the event has been growing every year since the early 2000s and this year set a record. “Cultivate is not just a trade show. It’s a remarkable experience that also offers many educational programs, introduces new varieties and products, and offers multiple networking events. It’s a global event and people tell me it’s a lot of fun and inspiring. There is something for everyone, and that’s why I think more and more people are attending.” The increased attendance also reflects the improving confidence in the economy, which is leading to better business conditions for our industry, said Geary. Several new programs and activities were introduced this year, including the addition of a 50,000 square foot exhibit hall, called the Retail Terrace, to accommodate more companies to exhibit products and services for garden and floral retailers. The Live for Retailers pavilion offered multiple hands-on workshops and demonstrations. An all-day tour was organized on the first day of the event for participants to visit model garden centers in the Cleveland, Ohio area, and a walking tour of Columbus’ Short North Arts District provided retailers with examples and inspiration for successful merchandising techniques. Also offered was Suntory’s YESS! Retail Café where retailers gathered to share ideas and listen to presentations on successful business strategies. The new Future of Retail area showed retailers how to use technology and innovations to operate more efficiently, improve customer service, and boost profitability. Along with the Horticultural Research Institute, the association will partner with the MindMarket program of the Columbus College of Art and Design, the oldest design college in the United States. Together, the organizations will conduct research and develop strategies to propose how garden retail could operate in the future. The association is utilizing a design approach to affect the garden retail customer experience in new ways for a new generation of consumers. Thousands of attendees also participated in the extensive educational programs for greenhouse and nursery growers. These included three tours on greenhouse and nursery production, and controlled environment edible crop production. New was the Live for Growers pavilion that offered timely programs on biocontrols for pest and disease management with a heavy emphasis on pollinator health. The Association of Natural Biocontrol Producers supported this area. “Cultivate provides an opportunity for AmericanHort to connect our vertically-integrated industry, and that includes providing the best technical production and business education to help growers offer the best products for the marketplace,” said Mark Foertmeyer, AmericanHort’s Chairman of the Board, and owner of Foertmeyer & Sons Greenhouse. This year saw the inaugural BloomaPalooza Music Concert in conjunction with GIE Media Horticultural Group and A.M. Leonard. “We work in a dynamic industry and music brings as much inspiration as beautiful plants and flowers so the concert was the perfect cap on the first day of the trade show,” Geary said. Multiple bands played classic and contemporary songs that bridged the different generations attending the event. Several trade and industry-promoting organizations co-located their events in conjunction with Cultivate’14. Most notable was the annual gathering of the Plantscape Institute of America, a trade association representing plantscapers in Canada and the U.S. For many years, their event was hosted in Las Vegas but it was moved this year to Columbus to connect with the entire horticulture industry and AmericanHort’s plantscaper community. The American Grown Coalition was also represented and they provided American Grown Flowers, which were used exclusively in the floral design competition. The keynote speakers included P. Allen Smith, a recognized leader in garden retailing, who spoke about the need for our industry to engage our consumers. He energized the audience with stories about how he built his businesses and shared strategies on how to build an audience for products and services. On Monday morning, speaker Alex Goldfayn reinforced that marketing value is how to differentiate one’s products and this will “kill the commodity” perception of the horticulture industry’s products and services. “Whether you’re B2B or B2C, we can no longer compete on just price,” he said. Every corner of the Greater Columbus Convention Center was elaborately decorated with horticulture products donated by the association’s members. More than 100 volunteers also donated their time throughout the four days by assisting with the setup, teardown, and the onsite logistics. At the conclusion of the convention, the remaining plants, trees, and hard goods were distributed to nonprofit organizations and educational institutions. These included the Chadwick Arboretum & Learning Gardens, Columbus Parks and Recreation Department, Franklin Park Conservatory, Habitat for Humanity, Homeport, Ohio State University, Ohio Wesleyan University, and the University of Cincinnati. Cultivate’15 will be held in Columbus, Ohio on July 11-15, 2015. Registration and housing is expected to be available in March 2015 but reservations for exhibit space are being accepted now. For more information, visit Cultivate15.org. AmericanHort was formed in 2014 by the consolidation of the American Nursery & Landscape Association and OFA – The Association of Horticulture Professionals. 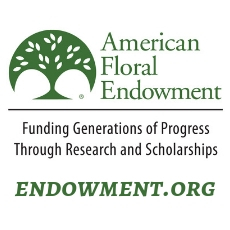 With a combined history of 220+ years, AmericanHort supports nearly 16,000 member and affiliated businesses that include breeders, greenhouse and nursery growers, garden retailers, distributors, interior and exterior landscape professionals, florists, students, educators, researchers, manufacturers, and all of those who are part of the industry market chain. The horticulture industry’s production, wholesale, retail, and landscape service components have annual sales of $163 billion, and sustain over 1,150,000 full- and part-time jobs. Our mission is to unite, promote, and advance the horticulture industry through advocacy, collaboration, connectivity, education, market development, and research. The association has offices in Columbus, Ohio for administration and member services, and in Washington, DC to facilitate government relations and research activities.